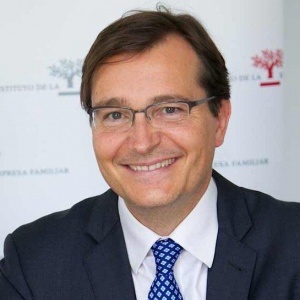 Jesús Casado is a leading expert in Family Business. In 2006 he was appointed Secretary General of European Family Businesses, a federation of 14 National Family Businesses associations based in Brussels. EFB aims to promote policies that are conductive to long term entrepreneurship in Europe. Its members, more than 9.000 family business owners, represent directly a turnover in excess of one trillion Euros, 9% of the European GDP. The experience gathered in this field led to his appointment as a member of the European Commission Expert Group on Family Business and of the High Level Group of Administrative Burdens (reporting directly to the President of the European Commission). Jesús Casado is also an Academic Collaborator at ESADE. He completed his education with post-graduate studies at Eberhard Karls Universität Tübingen (Germany) (1994), at the Spanish Diplomatic School (1995/1998) and at Institut de Sciences Politiques de Paris (1997).